The Honor 6X with the 5.5-inch display and the Kirin chipset runs Android Marshmallow based EMUI interface and the Android OS will be upgraded to Nougat OS and some changes to the EMUI as well. 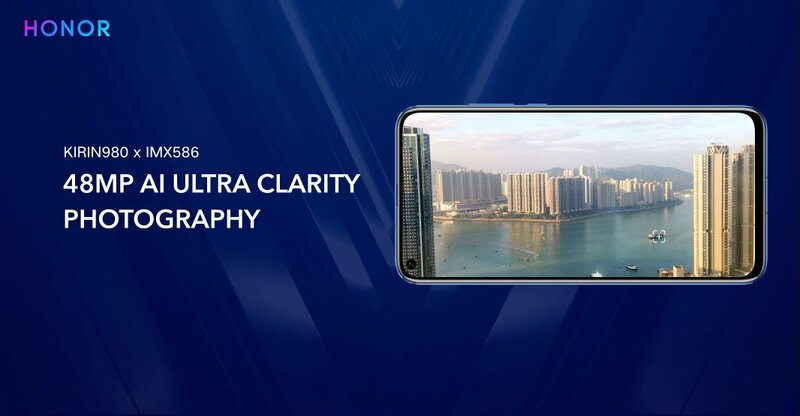 But some of the important features will remain the same and for the first-time users of Honor 6X, it is always good to know what you can do with the phone and take advantage of the features available. Following are some of the important tips and tricks of the Honor 6X smartphone. 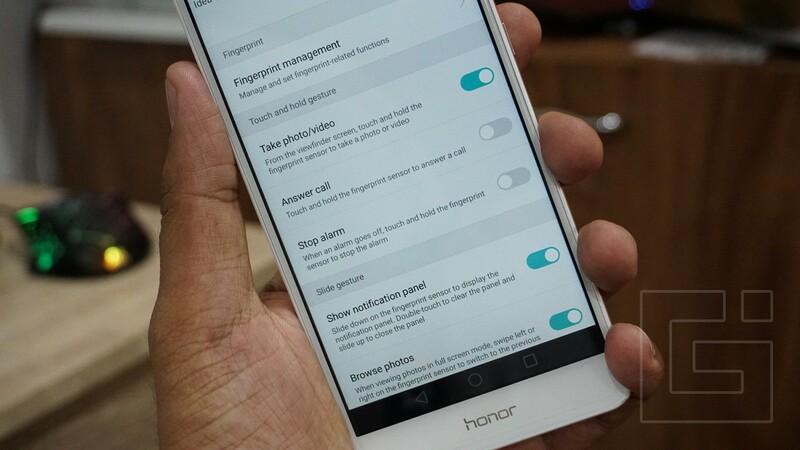 To capture the screenshot on the Honor 6X phone, you just need to press the power button and volume down button together and it will capture the screen. At the same time, you will see a few options available for you to enhance the experience. One of them is the scroll capture, which is useful when you want to capture a long screenshot of a web page. It will scroll down the page and keep recording parts and join them to make one long screenshot. Wi-Fi hotspot is how you share your phone’s data connection with other devices around. 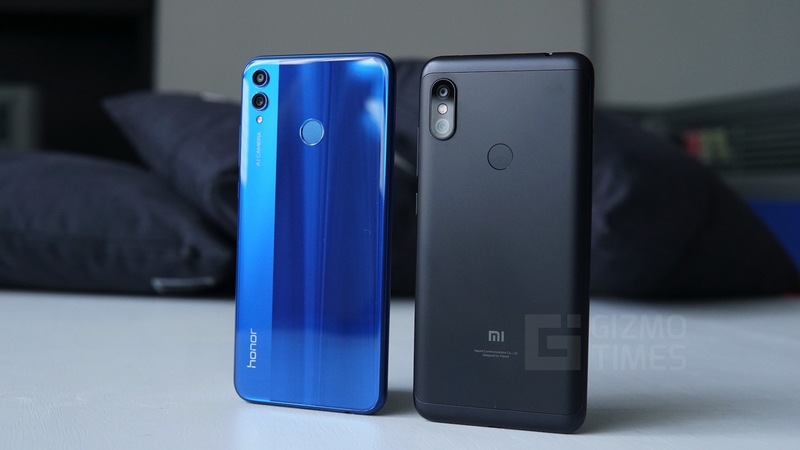 The Honor 6X has something called as the Wi-Fi Bridge, which is meant to share the Wi-Fi connectivity with a few other devices around. This is basically for those who want to extend the range of their Wi-Fi connectivity. Wi-Fi bridge can significantly improve the transmission range and intensity of Wi-Fi signals. Other devices can be connected to your current Wi-Fi network through your device. Wi-Fi bridge supports access from up to 4 devices. Wi-Fi bridge does not work with the Wi-Fi hotspot and Wi-Fi Direct features. 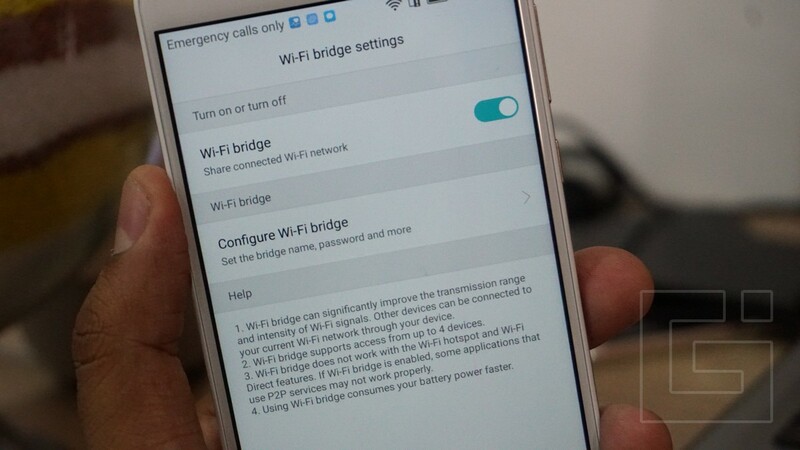 If Wi-Fi bridge is enabled, some applications that use P2P services may not work properly. Using Wi-Fi bridge consumes your battery power faster. 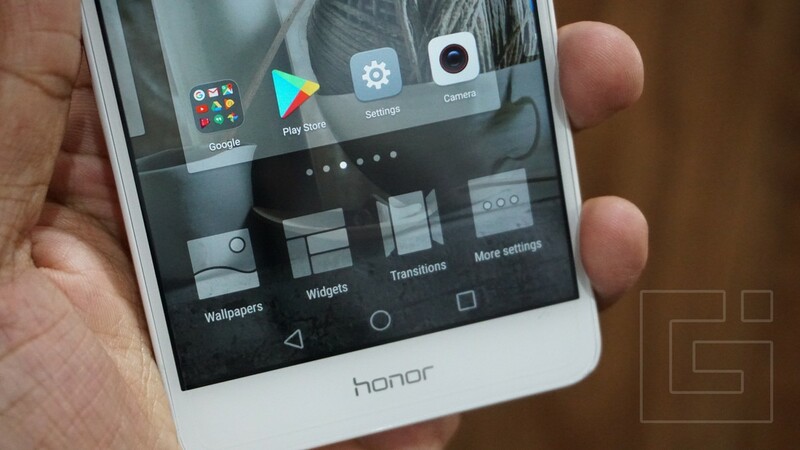 The lock screen might seem like a simple one on the Honor 6X but it has quite a lot of stuff hidden, which you can access with a simple swipe. Swiping up from the bottom of the screen on the lock screen shows up a bunch of shortcuts, from the music control ones to options that help you change the wallpaper on the lock screen. Also, there are shortcuts to the voice recorder, calculator, flashlight, and camera app, which are the commonly used tools and you don’t have to perform multiple taps to reach them. For users who don’t have an idea about Nano SIM cards, it is a confusion because of the hybrid SIM slot, given on the Honor 6X. 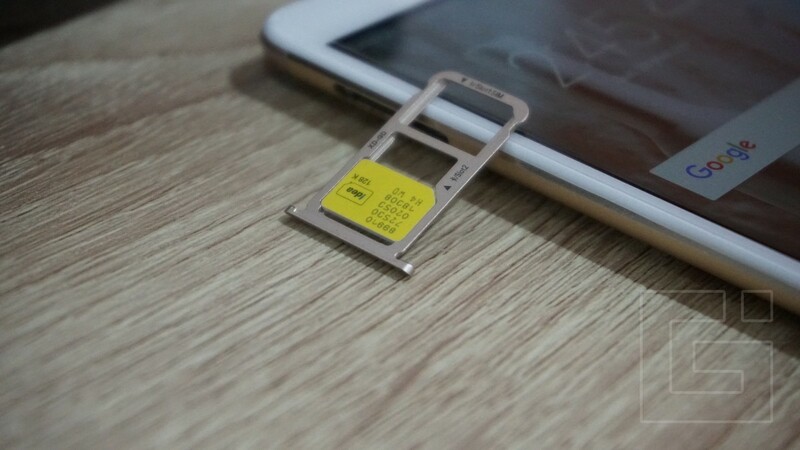 A hybrid SIM slot can have either a Nano SIM or a MicroSD card to expand the storage. The first slot in the phone is for a Nano SIM and you can insert only a Nano SIM there. In the second slot adjacent to it, you can either insert a Nano SIM or a MicroSD card. 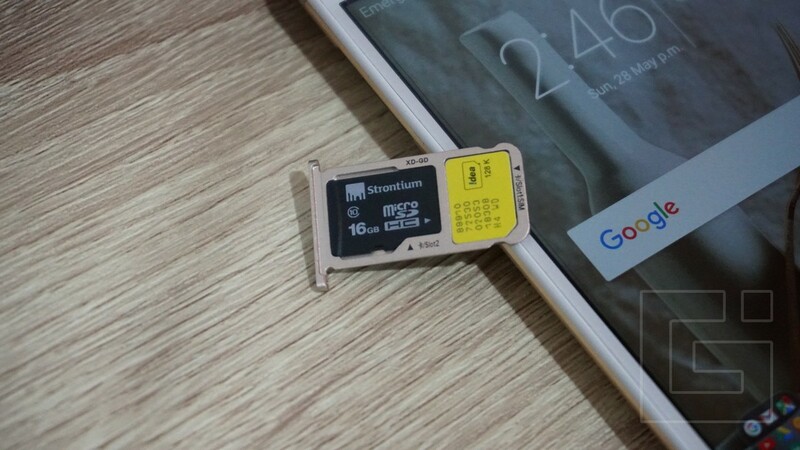 The MicroSD card can be placed easily given the shape of the slot, but the SIM should be inserted vertically and it will leave a gap on the side. 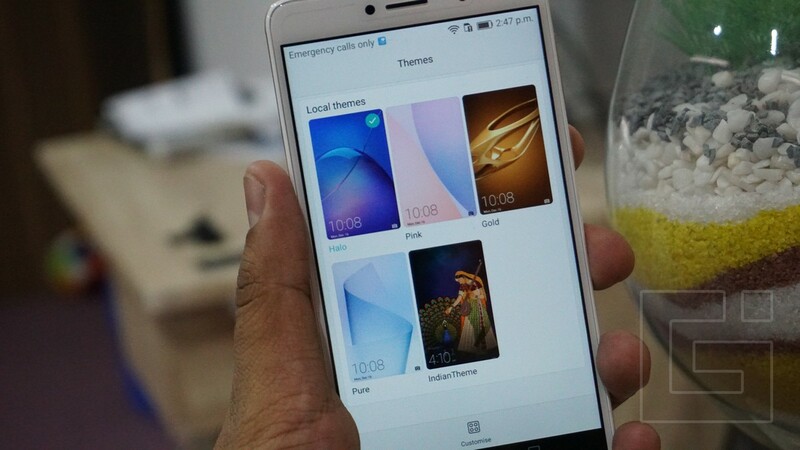 Like some other ROMs, the EMUI also offers the users with the option to change themes. Changing the theme makes a lot of difference because you do not just change the look of the interface but also to the icons and wallpapers. Go to Themes app and you will be able to choose between the given themes, namely Halo, Pink, Gold, Pure, and IndianTheme. You can further customize it by changing the screen lock style, Icons, Lock screen, Home screen, and font as well. Adding to the number of ways you can change the way your interface looks, EMUI also offers an option to change positions of the navigation buttons in the bottom tray. To change that, head to Settings and in that, tap on Smart Assistance. The first option is the navigation bar settings. You will find different ways to adjust the buttons, where the home buttons remain at the same center place all the time but the Recents and Back button can be changed. For some users who want to have a shortcut to drag the notification panel down with the touch of a button, you can include that, or there is a shortcut to lock the screen as well. A floating bar is a shortcuts section that will appear on most screens and can be dragged to left or right edges for easier access. What the floating dock offers is the bunch of navigation buttons that can be quickly accessed from anywhere. You can turn it on by going to Settings > Smart assistance and tapping on the second option. Not just the navigation buttons, the floating dock also has the shortcuts to lock the screen and clear RAM by killing the background functions. One-handed usage is necessary because of the screen size. 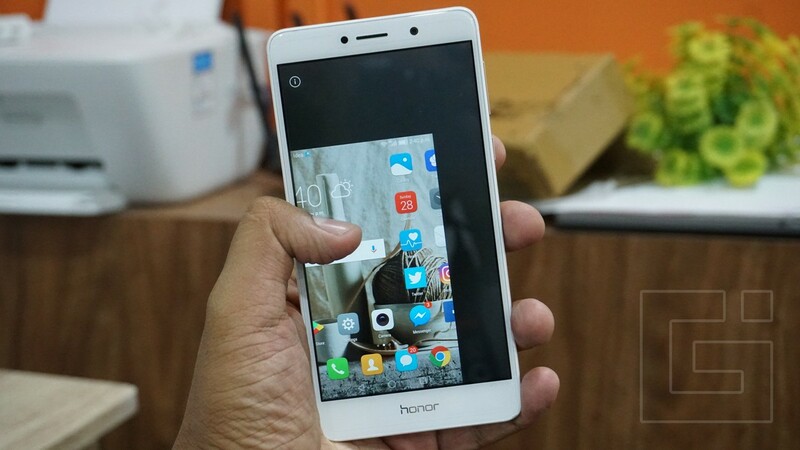 The Honor 6X has a 5.5-inch display and thus, it isn’t easy to reach the corners of the screen with the same the hand. With the one-handed mode, you can do that. Yet another feature that you will find in the Smart assistance section in the Settings, it is called “One-hand UI”. 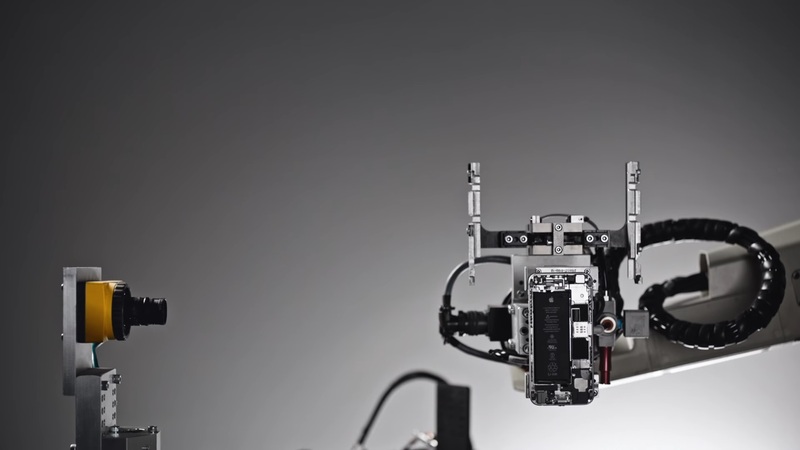 Under that, you can find two options – Mini screen view, and Shifting keyboard. Activate both of them. Now, to shrink the interface and activate the One-handed UI, you just need to swipe across the navigation buttons from either left or right. Tapping on the empty area will deactivate it. The fingerprint sensor does a lot more than just unlocking the screen for you. Huawei has been offering these gestures for quite some time and they have always been useful. You can activate these by going to Settings > Fingerprint ID. Taking a photo or video is possible when you touch and hold the sensor when the camera app is active. 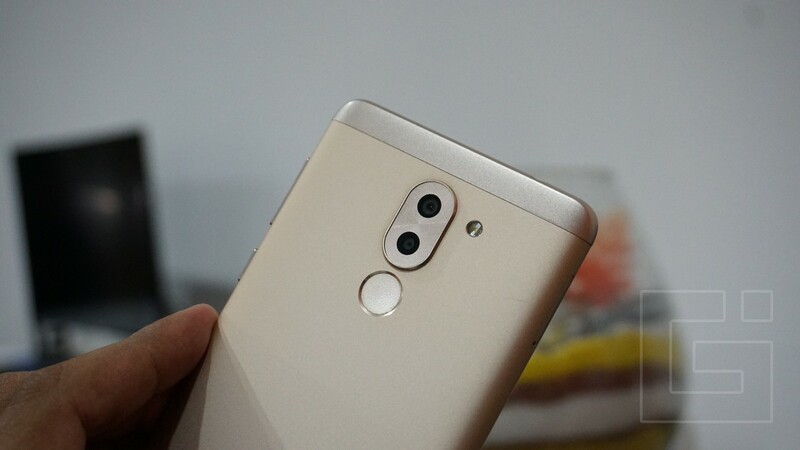 Answer call by touching and holding the fingerprint sensor. Stopping an alarm by touching and holding the sensor. Sliding down on the sensor can drag the notification panel down. In the Gallery app, swipe left or right to browse through the different photos. When someone is borrowing your phone, you might not want to let them check all your private data. That’s where the Guest account comes to use. To activate the guest account, go to Settings > Users. Now, tap on “Add guest” and you will be able to create the guest user. Now, you can go back to the same settings and choose whether to allow calls and sharing of communication history. 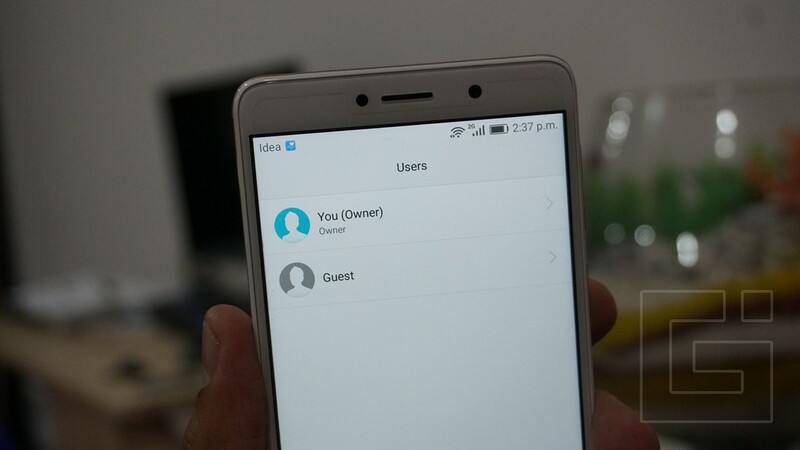 Once you switch to the guest user, you will see an interface just like one on a new phone because all the apps that you had installed or the pictures that you took will be hidden. This is a reverse of what you would usually do on your smartphone. Apps running in the background would usually use the battery, but for some apps, you might want to have these running because you don’t want to miss the notifications from them. The EMUI on the Honor 6X has a feature called Protected apps. The software is usually optimized to kill the apps whenever the screen is off. 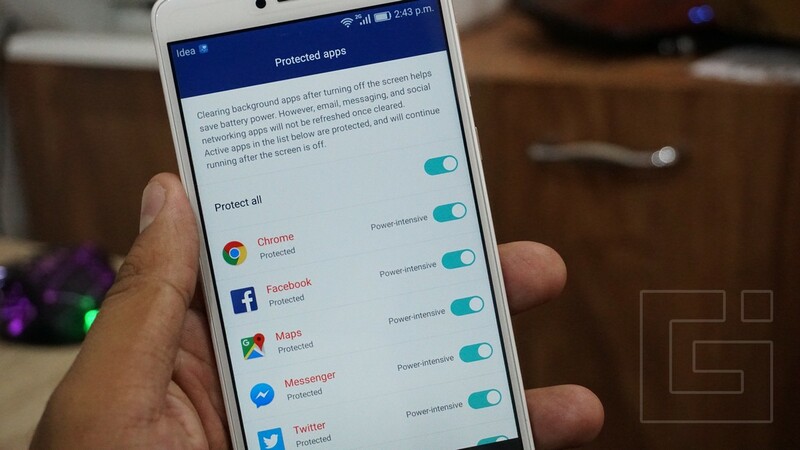 But, with the Protected apps, you can just choose the apps you want to run even when the screen is turned off. To do this, you can go to Settings > Advanced Settings > Battery Manager, and here you will find the option for Protected Apps. Turn on Protect all or select the ones you want to protect. A simple restart of the device is usually enough to fix some minor hiccups that your phone is showing up after continuous usage for hours. But then, why would you want to do that manually? 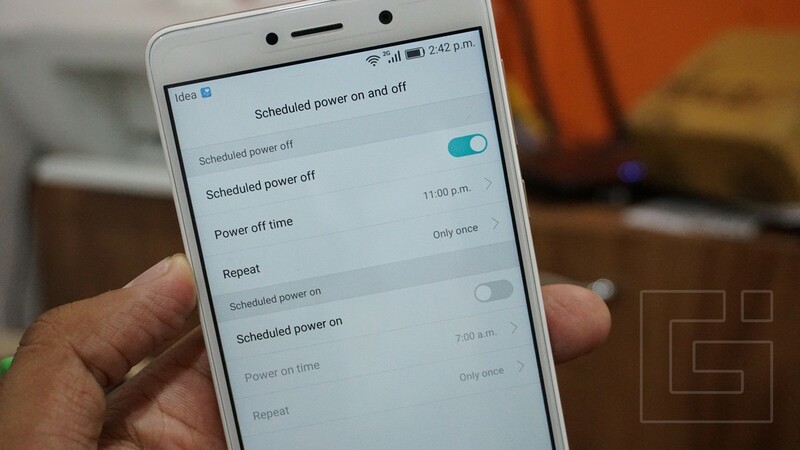 The Honor 6X has an option to schedule the powering off and on automatically. You can set it to happen during the night when you usually don’t use the phone. To do that, open the Settings app > Go to Smart assistance, and here, tap on Scheduled power on and off. Then, set the desired schedule and you are done. The phone will restart by itself at the set time, every day. The Eye Comfort mode in the Honor 6X helps in reading at night when there is no light around. It reduces the blue light from the phone and thus, the colors are easy on the eyes and brain. To activate the Eye comfort mode, you need to go to Settings and there, tap on Display. Here, you will find the option for Eye comfort. Head to its settings and there, activate it. If you want this to be activated automatically every day, you can set that up as well. 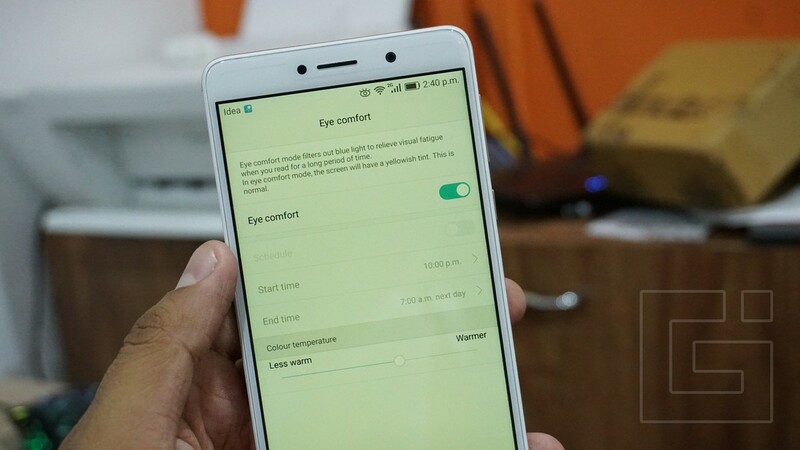 There is a drag toggle that helps you choose how much warmth you need and how much blue light has to be eliminated from the display when the Eye comfort mode is activated. Resetting the phone to its factory settings is what you might want to do for one of the several reasons, which include selling your phone, or bringing the conditions to what it was when you bought a new phone. 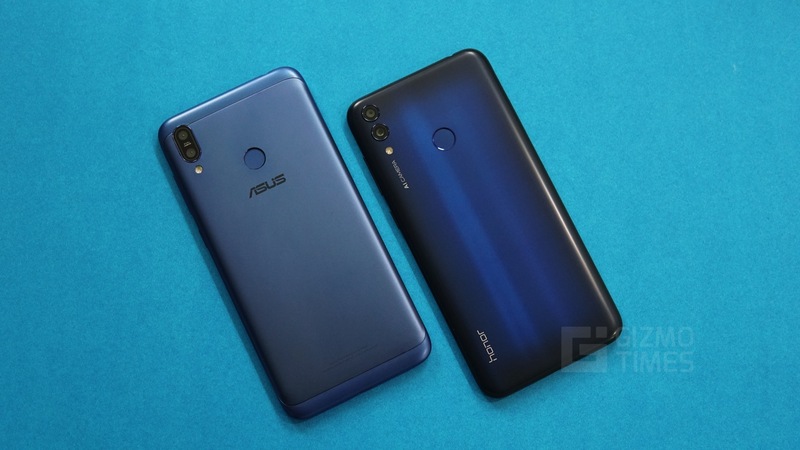 To do a factory reset, first, remember that you will have to first take a backup of the data that you might want later because a reset deletes everything. After the backup is done, you need to head to Settings > Additional Settings > and scroll down to the Backup & Reset option. The last option “Factory data reset” is what you need to tap. It will ask you if you want to delete everything and restore the phone to the factory settings. It will take a while before you see the main setup screen. 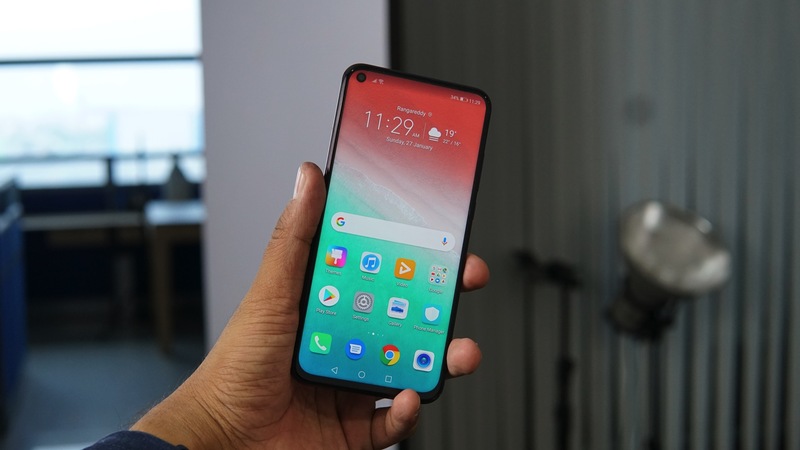 The home screen can be well customized on the device by pinching when on the home screen and then, finding the options available on the bottom of the screen. 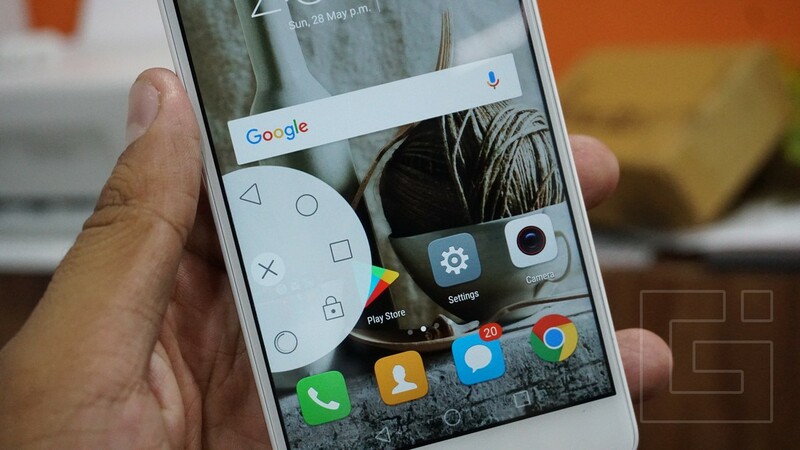 There are options to choose the wallpaper, tap on the Home icon on the top of the screen that you want to set as the default one, and even change the transition effect while scrolling through the home screens. 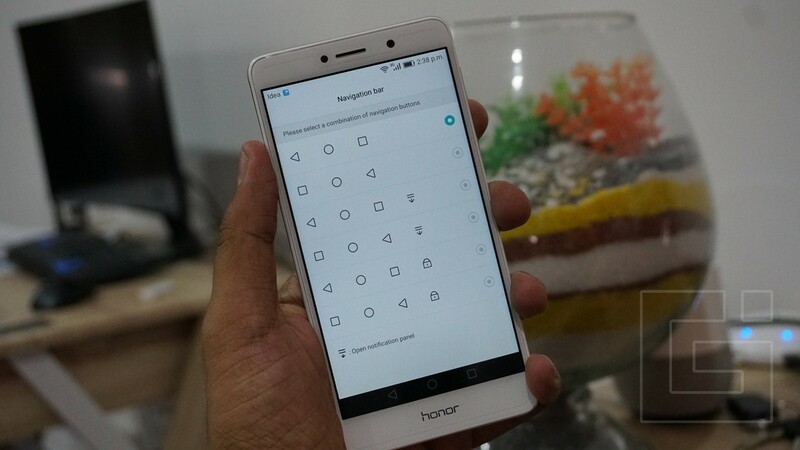 You can even head over to the settings to change the home layout by choosing the number of icons to have in a row and column, auto-align options for apps, and also, use the phone in a landscape mode by having the home screens aligned horizontally. 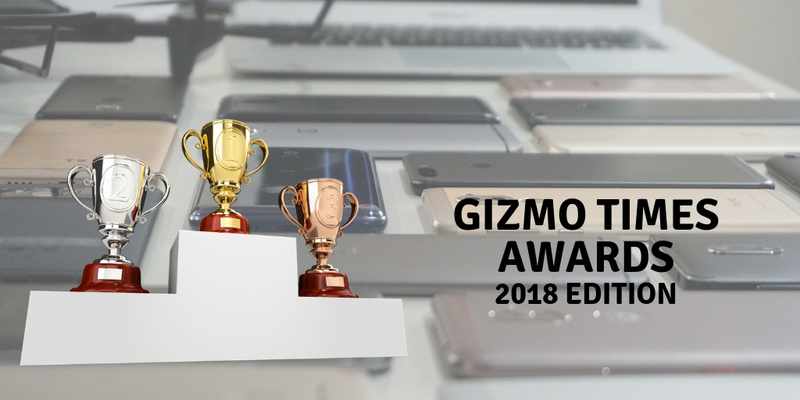 Excellent features, it’s been 3 – 4 years I have the desire to try out a Huawei phone or now an Honor phone! Now after reading all these features in detail all I want for a phone is an Honor phone..